Found these wilderness survival video play-list, Journals of the Yurt. And he has more playlists on other topics like archery, animal traping, and edible wild food. I didn't see any yurts in these videos. 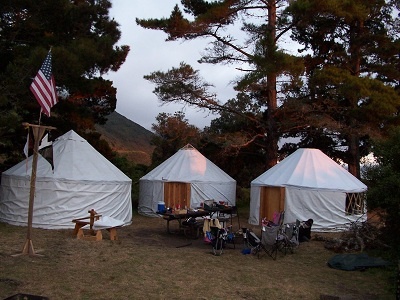 I take as many as four yurts at a time, camping with others who are looking to learn survival skills. I work with Sierra Survival where we teach many skills to anyone who is interested in learning how to live off the grid. We go during all seasons of the year. We will be snow camping later this month.